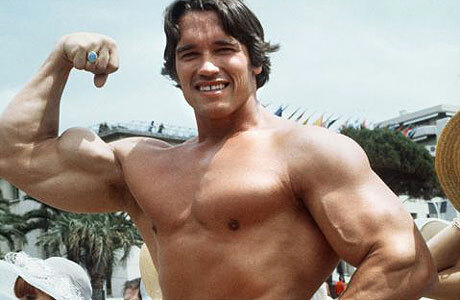 Arnold Schwarzenegger was born in July 30, 1947. He is an Austrian and American former professional bodybuilder, actor, businessman, investor, and politician. Schwarzenegger served two terms as the 38th Governor of California from 2003 until 2011. 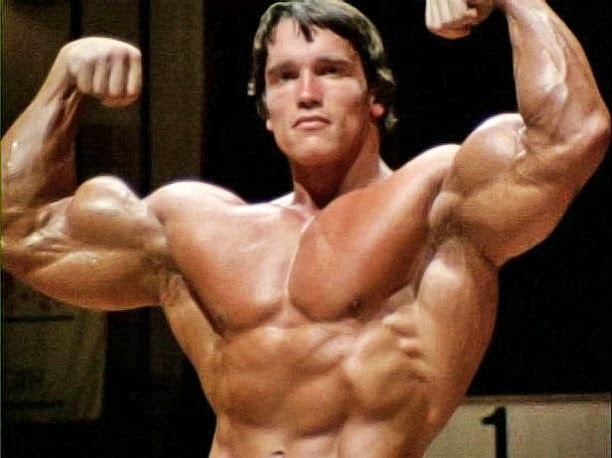 Schwarzenegger began weight training at the age of 15. He won the Mr. Universe title at age 20 and went on to win the Mr. Olympia contest seven times. Schwarzenegger gained worldwide fame as a Hollywood action film icon. 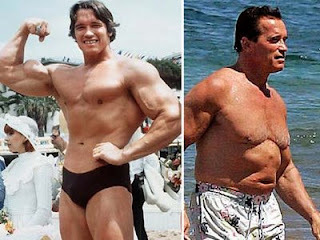 He was nicknamed the "Austrian Oak" and the "Styrian Oak" in his bodybuilding days, "Arnie" during his acting career and more recently "The Governator" (a portmanteau of "Governor" and "The Terminator" one of his best-known movie roles). As a Republican, he was first elected on October 7, 2003, in a special recall election to replace then-Governor Gray Davis. Schwarzenegger was sworn in on November 17, 2003, to serve the remainder of Davis's term. Schwarzenegger was then re-elected on November 7, 2006, in California's 2006 gubernatorial election, to serve a full term as governor, defeating Democrat Phil Angelides, who was California State Treasurer at the time. Schwarzenegger was sworn in for his second term on January 5, 2007. Gustav had a preference for his older son, Meinhard, over Arnold. His favoritism was "strong and blatant," which stemmed from unfounded suspicion that Arnold was not his biological child. 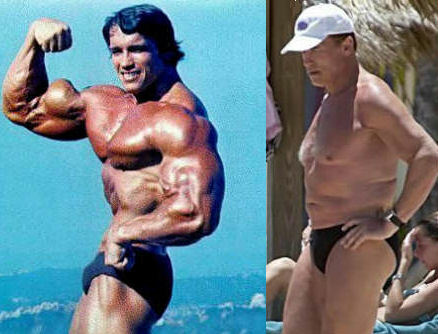 Schwarzenegger has said his father had "no patience for listening or understanding your problems." Schwarzenegger had a good relationship with his mother and kept in touch with her until her death. In later life, Schwarzenegger commissioned the Simon Wiesenthal Center to research his father's wartime record, which came up with no evidence of Gustav's being involved in atrocities, despite Gustav's membership in the Nazi Party and SA. Schwarzenegger's father's background received wide press attention during the 2003 California recall campaign. At school, Schwarzenegger was apparently in the middle but stood out for his "cheerful, good-humored and exuberant" character.